AndroiDTV turns your Android device in a mobile DVB-T TV. You can watch, record and play live TV without using up your data plan. Never miss your favourite TV show! Just plug AndroiDTV on your Android device, install the free software and enjoy live TV. It is no extra power supply or battery requiered. With the included USB cable you can use the original TVCenter software on your Windows PC either! 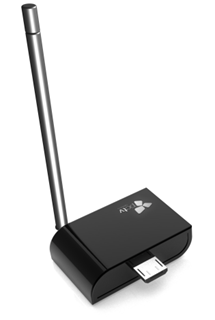 AndroiDTV (model: 78e) is a revolutionary pluggable TV Tuner which turns your Android handheld or Windows PC into a full-featured TV and PVR. There is no Wi-Fi or 3G/4G connection needed- no connection charges apply. 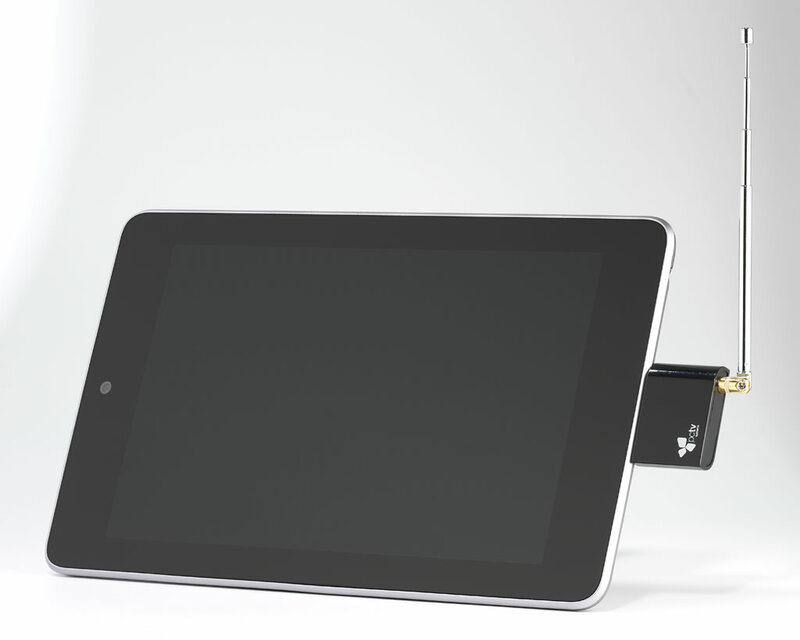 The ultra compact DVB-T receiver connects directly to the microUSB port of your Android device. With the included USB cable you can connect it also to your Windows PC. The user-friendly TVCenter for Android software makes it easy to watch and record live-TV. AndroiDTV is small enough to fit in your pocket yet powerful enough to give you the freedom to watch on your Android handheld what you want, where you want. TVCenter for Android also included an electronic program guide (EPG) – never miss your favourite show!